All indications were that this time it would be big. Big, informative and inspiring this meet surely was!! 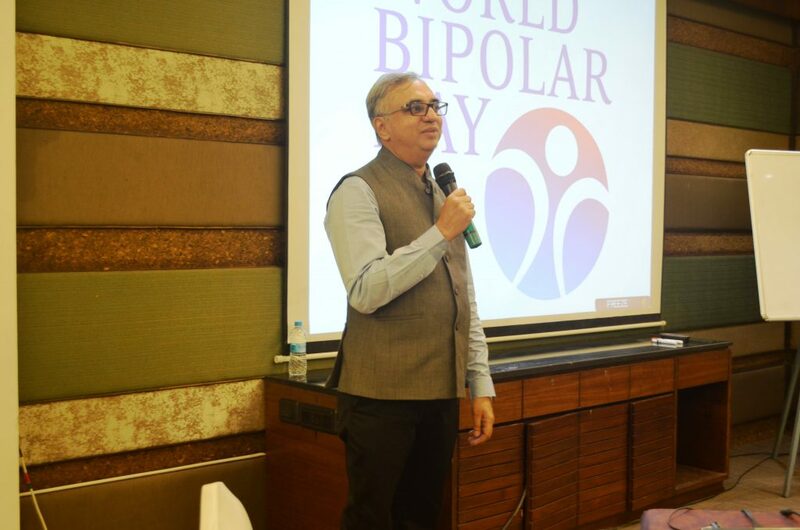 It was Sunday, the 1st of April, 2018 and we were celebrating WORLD BIPOLAR DAY with a National Conference. 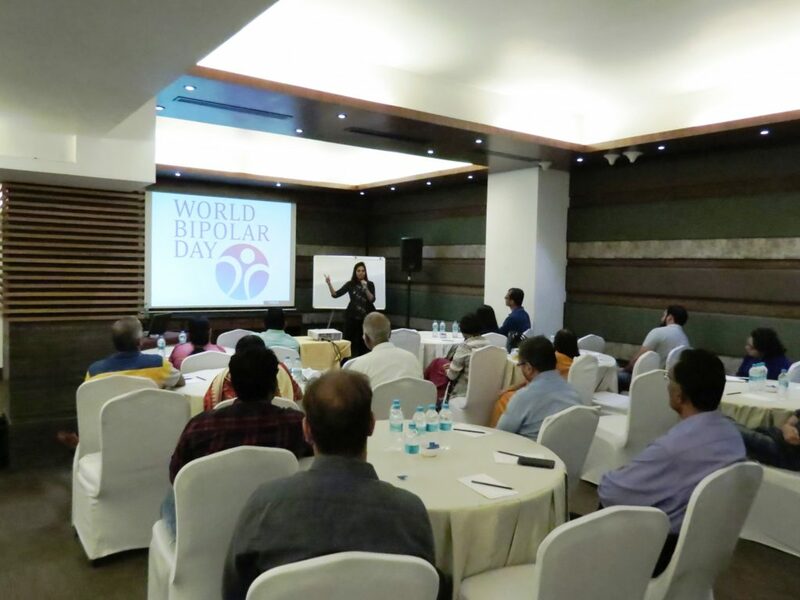 So we had delegates from Kerala, Pune, Surat, Thane and of course Mumbai joining us for this full day meet. Participants drawn from our Peer Support Group (care givers and those afflicted with Bipolar Disorder), Psychologists, Doctors and of course the panel of speakers. The day began at 9 am with registration and later interaction over breakfast at the venue.The Conference began as scheduled, at 10 am sharp. After initial welcome address and run through of the day’s agenda, the first speaker took over. 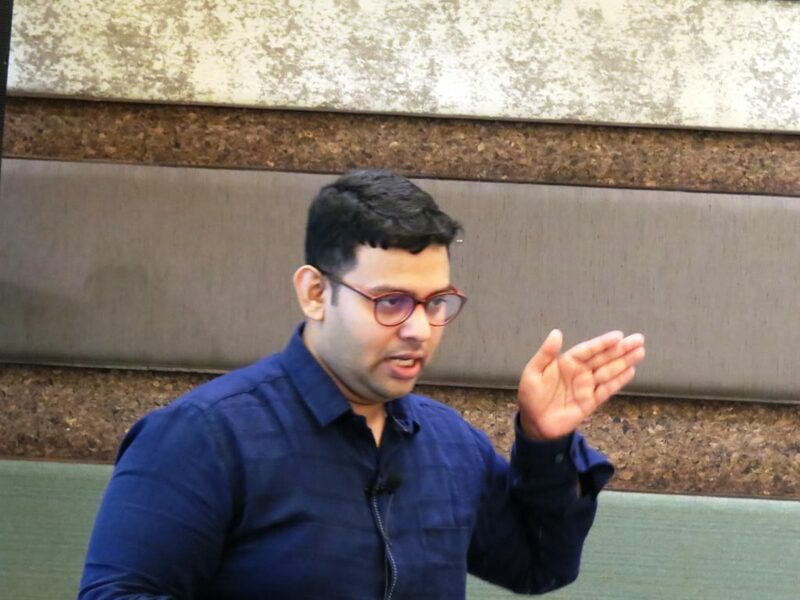 Shrikant Kshirsagar, Yoga Expert and Corporate Yoga Facilitator set the tone for the day with an informative session. essentially focused on breathing techniques and yogic exercises to improve well being. Kapalbhati (in its correct, relaxing avatar) and Brahmari were demonstrated. Practising these on a regular basis has a calming effect on mind and body and are particularly beneficial for Bipolar Disorder patients. The use of the Spirometer was also tried out to demonstrate to us how shallow our breathing is. 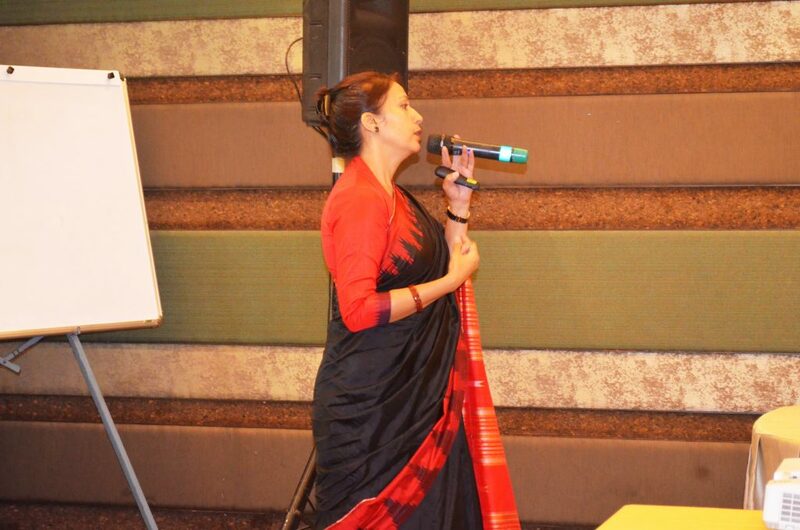 Zeenat Jahan, Psychotherapist, NLP Practitioner, Life Coach & Corporate Trainer was next up. 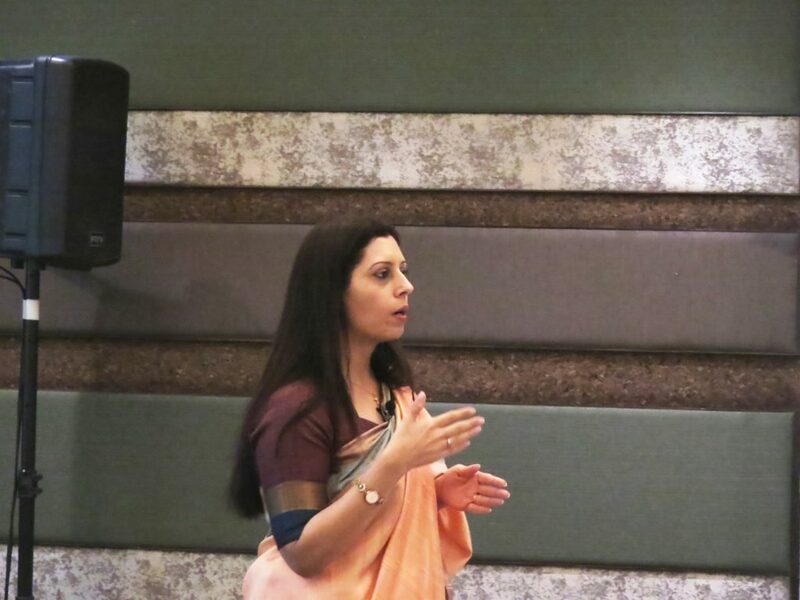 She mesmerised with her heart felt talk on ‘Mind Power’. She shared the stories of people from various walks of life whom she has mentored and helped grow as confident individuals. The transformation in them was evident from the slides she showed us. Zeenat is a shining example of being a champion who walks the talk, no matter what challenges life throws in her path. Then we had our story sharing sessions, where Bipolar afflicted and caregivers shared their experiences. Tushar Khurana, a Bipolar Disorder champion had traveled from Pune to be with us. Tushar is currently doing his Business Management studies and has also authored a book, which will be published shortly. He spoke about how lonely he felt until he chanced upon BipolarIndia and realised he was not alone.Our Peer Support Group is stronger because of people like him. Rose (name changed) then shared her moving story of how she had discovered a family outside her own family~ her own parents disregarded her illness and are living in denial. This brave young lady has fought it on her own all the while. The amazing part was that she had just fought back from a manic attack last week yet had the resolve to join us for this day. She asserted that Bipolar is not a curse, it had shown her a new perspective of life. She is now studying Psychology so that she can be of help to the community. Jahnabee Bohra represented the caregivers side of story sharing. She has lived with mental illness in her family. She pointed out how caregivers also need therapy as much as the patients. 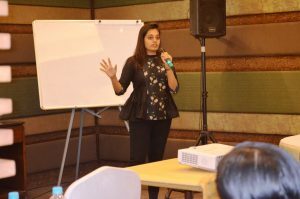 She shared how she had chanced upon BipolarIndia while doing a random search on the internet and that had led her to attend the World Bipolar Day conference and Let’s Talk Depression meets in 2017. Attending these had been great learning experiences for her. And then we took a well earned lunch break which was another great opportunity for interaction. 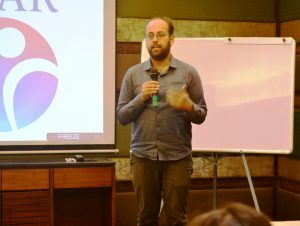 Well known Psychotherapist and Trauma Therapist H’vovi Bhagwagar demystified the role of Psychotherapy in the recovery from Bipolar Disorder. Her’s was a thorough, step by step walk through on how to select a Psychotherapist, what to expect from her and how Psychotherapy helps in managing the condition. A good Psychotherapist helps in ensuring adherence to medication and in spotting the onset of mood swings. She explained how addiction though commonly found among Bipolar Disorder patients, needed to be treated separately. Her detailed guidelines for caregivers and patients at times of acute depression and mania were immensely helpful. 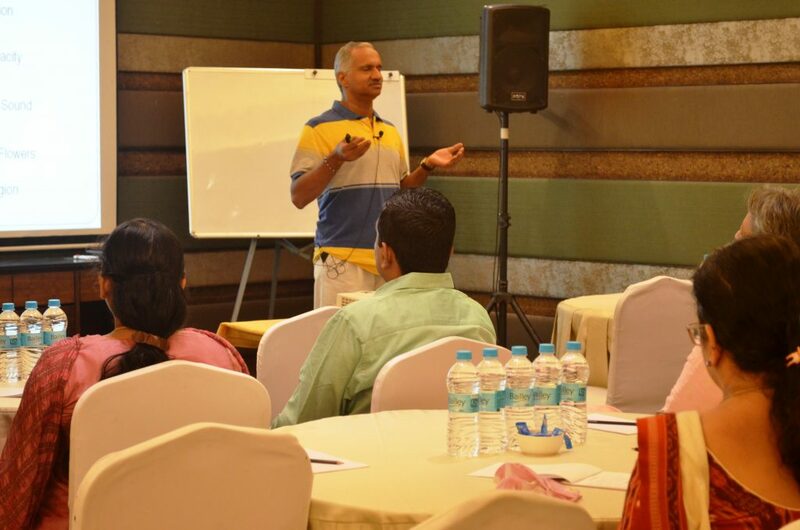 Dr. Milan Balakrishnan, Psychiatrist and Psychotherapist took up the next session on ‘Managing Bipolar Disorder’. He spoke about the causes of the disease and the various drugs used to manage the illness. Also touched upon was the welcome change which has now come in with the Mental Healthcare Act in the form of the Advance Directive. With this, a patient can give advance consent about the kind of treatment he wants to opt for in case of future episodes. Doctor Milan expressed concern that substances like cannabis were being liberally touted as a ‘miracle cure’. He had seen many cases where use of cannabis tripped the patients into mania. The Q & A with the Doctor yielded hidden gems of information. For instance, there are injectible drugs in the market which release sustained doses of the medicine over a full month. Although these can be used in select cases, they are of great use when a patient is non-compliant. I took up the last session of the day. Why this topic? It had been chosen by members of our Peer Support Group and I had gladly accepted it because it pertained to my erstwhile career. While it is true that everyone needs to know the basics of financial planning, it is imperative that people drawn from my Peer community get their facts about this subject right and implement the knowledge. Even after my talk, i have received a few queries pertaining to it~ to do justice to the people unable to join us at the event, a separate post on my talk is coming up. All in all, it was a thoroughly informative and inspiring day! It can get only better and bigger from here on. ← It Is World Bipolar Day Again!